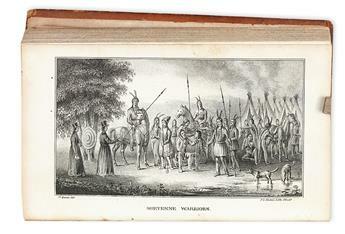 (AMERICAN INDIAN CAPTIVITY.) 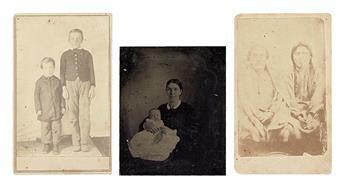 Family papers of Indian captive Jeanette DeCamp Sweet. (AMERICAN INDIANS.) Zeisberger, David. 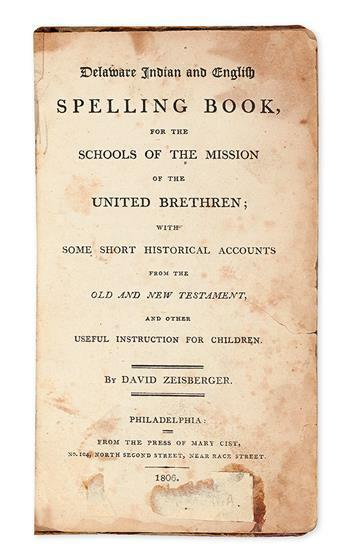 Delaware Indian and English Spelling Book for the Schools of the Mission of the United Brethren. (AMERICAN INDIANS.) Catlin, George. 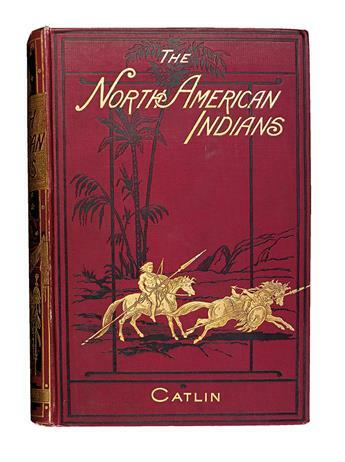 North American Indians. (AMERICAN INDIANS.) 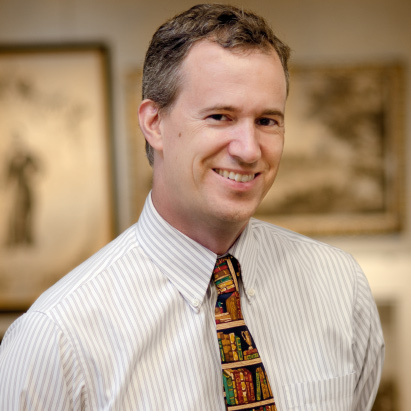 Harris, T.S. ; and J. Young. 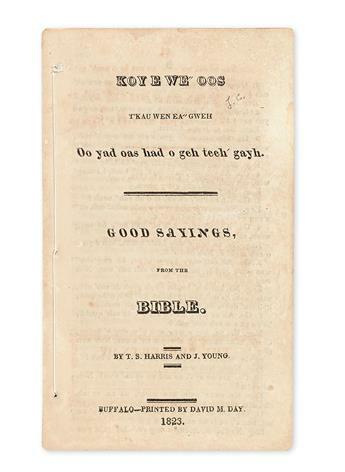 Koyewe-oos Tkau Wen Ea-gweh / Good Sayings from the Bible. (AMERICAN INDIANS.) [Hyde, Jabez B.] 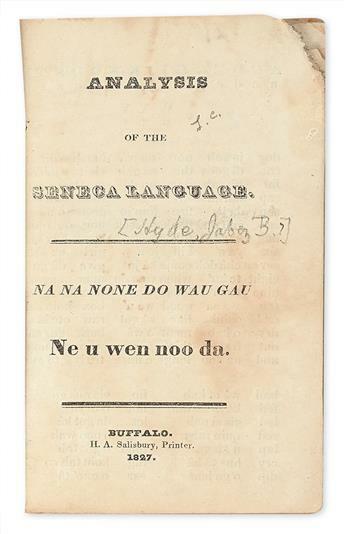 Analysis of the Seneca Language / Na Na None Do Wau Gau. (AMERICAN INDIANS.) [Hyde, Jabez B.] 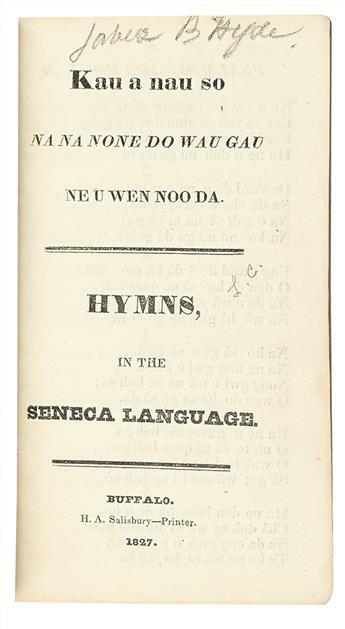 Kau a Nau So / Hymns in the Seneca Language. (AMERICAN INDIANS--PHOTOGRAPHS.) Baker & Johnston; photographers. 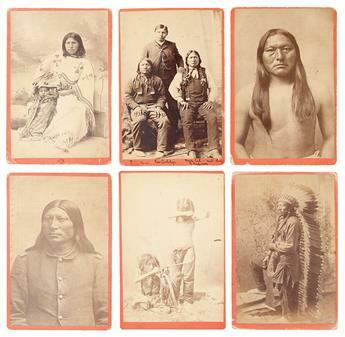 Group of 6 cabinet cards of Arapaho subjects. (AMERICAN INDIANS--PHOTOGRAPHS.) Baker & Johnston; photographers. 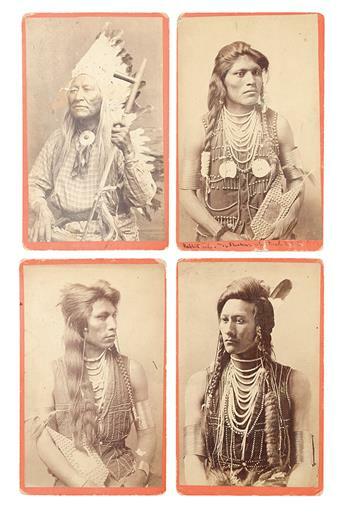 Group of 4 cabinet card portraits of Shoshone men. (AMERICAN INDIANS--PHOTOGRAPHS.) Baker & Johnston; photographers. 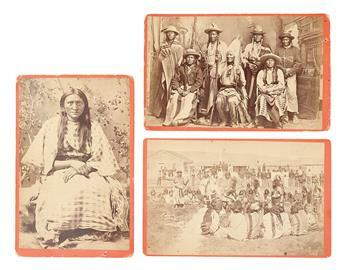 Group of 3 cabinet card portraits of Shoshone subjects.